Vie Support Language Services Pvt Ltd team has more than thousands of professionals. We translate millions of words per year and native translators offer competitive service to over thousands of language pairing. We provide the customized solutions and editing services. We design various desktop publishing. 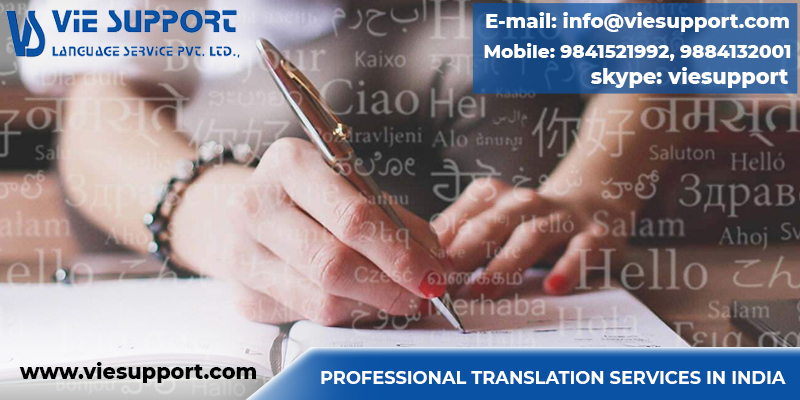 We deliver our translation services on time. We have both regional and global clients from all across the sectors such as the automobile, consumer durable, Power, FMCG, energy, communications, government projects, insurance, engineering, Telecom. We cover the major zones namely Asia, Middle East, Africa and America. We have experts for translating all the continental and sub-continental regions.